Play with friends and enemies alike! 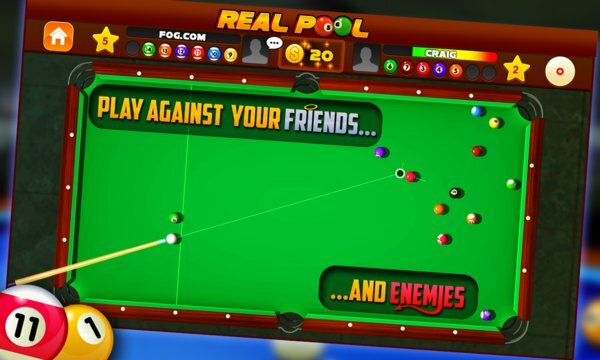 Play 8 Ball Real Pool on your mobile and become the best in the world. Using realistic physics control the ball to take risky shots and eliminate your opponent. ***** Compete against opponents all over the globe. ***** Work towards being the best in practice mode. ***** Get rewarded for your greatness with in-game pool coins. 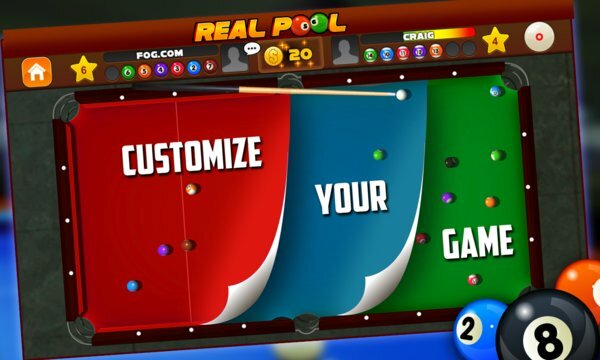 ***** Customize your cue, table and other items with the soon to be release Pool Shop. ***** Challenge yourself to level up to the top of the world. - Challenging friends on Facebook!